According to Deadline, Academy Award winning actress Jessica Lange has signed on for a leading role in Ryan Murphy’s upcoming political comedy series The Politician on Netflix. This marks the third collaboration between Lange and Murphy, who both have previously worked together on FX’s American Horror Story and Feud anthologies. In addition to Lange, Dylan McDermott (American Horror Story) has also revealed in an interview with Sirius XM that January Jones (Mad Men) is set to appear in the series to play the role of his character’s wife. The Politician also stars Tony Award winner Ben Platt (Dear Evan Hanson), Zoey Deutch (Set It Up), Lucy Boynton (Murder on the Orient Express), Laura Dreyfuss (Glee), and Rahne Jones (Godspell) as series regulars. Besides being described as a comedy that features social commentary, not much is known about the new project that was created by Murphy and his longtime collaborators Brad Falchuck and Ian Brennan. However, it reported that the show will center on Platt’s character, Payton, “a wealthy Santa Barbarian” with political aspirations. Each season of The Politician, which has already been given a “two-season straight-to-series order,” will focus on different political races that Payton is involved in. Platt will reportedly have musical numbers in many of the episodes in the Fox 21 TV Studios new project, and Murphy is set to direct the pilot episode. If her deal closes, Streisand will possibly be directing some of the episodes as well. Ian Brennan (Glee co-creator) was brought onto the project by Murphy and Falchuck, and the three will likely share co-creator credits for the series. Murphy’s most recent collaboration with Falchuck is Fox’s new hit drama series, 911, and is the fourth series the pair will have co-created. The Politician is Murphy’s second original series arriving on Netflix, alongside his upcoming project, Ratched, a prequel to One Flew Over the Cuckoo’s Nest starring Sarah Paulson (American Horror Story) as a younger version of the cruel Nurse Ratched. Since the prolific creator-producer’s deal with 20th Century Fox TV is set to expire later this year, many are wondering where Murphy could end up. With two series from the creator landing on Netflix, it’s safe to assume the streaming site could become a more permanent home once Murphy’s deal with Fox comes to an end. 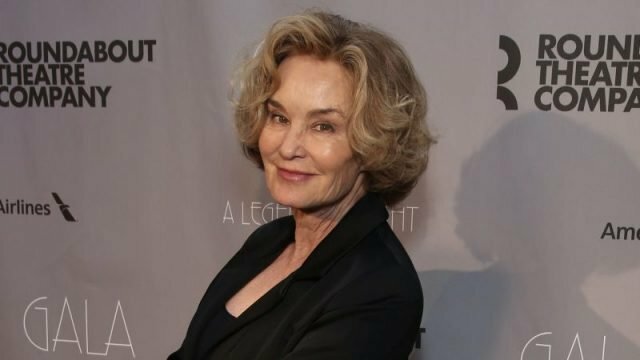 The post Jessica Lange to Star in Ryan Murphy’s The Politcian appeared first on ComingSoon.net.